Charcoal/gas/electric grill: Allow the avocado to cool, peel and cut into slices. Grill the prawns over/on a medium heat (approx. 200°C) for approx. 4 mins. on each side, season. Cut open the baguettes lengthwise but do not slice all the way through. 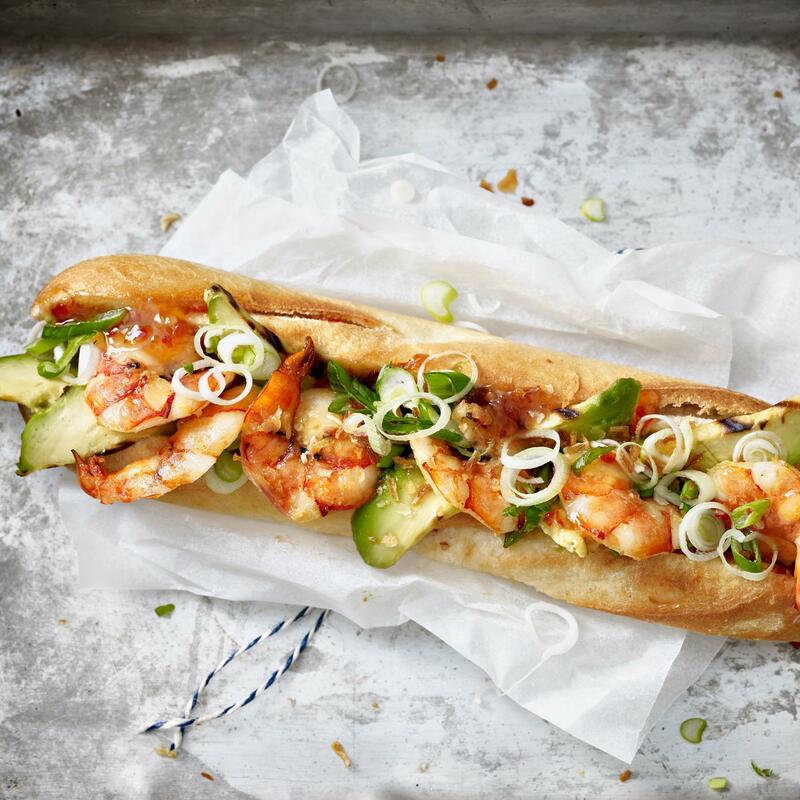 Fill the baguettes with the sweet chilli sauce and sliced avocado. Add the prawns and spring onions, top with the fried onions. Naturaplan Organic Spring Onion ca.